When we talk about germs, the terms bacteria and fungus somehow seem to make it into the conversation. After all, they are more specific types of germs. It is important to know the similarities and differences of these two microbes. In the world of science, there are good and bad bacteria and fungi. Knowing how they are different will also give way to adequate knowledge of growth, prevention as well as treatment. Bacterium (or bacteria - plural) is a one-celled organism that is usually only a few micrometers long. Bacteria come in different shapes, from spirals, rods to spheres. Because of their coexistence with practically everything here on this planet, bacteria have been studied for centuries. The scientific study of such is called bacteriology, which is a sub-field of the more general science of microbiology. Fungi (singular - fungus) are under a large umbrella of eukaryotic organisms that is comprised of microorganisms like molds and yeasts and bigger organisms like mushrooms. Fungi are classified differently from plants because they have cell walls containing chitins, instead of cellulose. 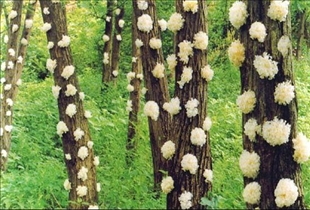 In biology, the study of fungi is called mycology. They are found in all surfaces and habitats here on earth. Bacteria dwell and cohabitate with other organisms in land, air, water and even bodies of plants, animals and humans. Fungi are flourishing worldwide and even if most are too small to be seen by the naked eye, many are found to live on soil and on dead matter such as of animals, plants and on other fungi. Bacteria are present on all parts of the human body. They make up the normal human flora. Friendly bacteria can be found on the skin as well as in the intestines. A good amount of bacteria on the skin protects it and keeps acidity levels in check. Bacteria in the intestines and the stomach aid in the digestion of food particles. In addition to its biological benefits to the human body, bacteria are also used in sewage treatment. Aside from this, it is also an important component of the fermentation process for cheese and yogurt. Fungi are best known for their contribution to the food world – mushrooms of various kinds as well as truffles are delicious and add flavor to any dish. 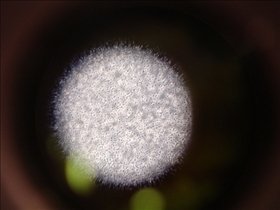 Fungi, particularly yeast, are used as a leavening agent for baked goods like bread and as a fermentation additive to soy sauce, wine and beer. Fungi were developed also to create penicillin, a form of antibiotics. In the world of agriculture, fungi can help control pests and weeds. Both fungi and bacteria coexist with soil, surfaces, air, water and organic matter such as animals, plants and humans. Bacteria are one-celled. Fungi are eukaryotic, but are composed of more cells. Both fungi and bacteria have had contributions to the food industry and the creation of antibiotics. Which is more destructive to the human body?